Here's a newspaper clipping from late 1949 in which Ella Raines discusses French bathing suits. 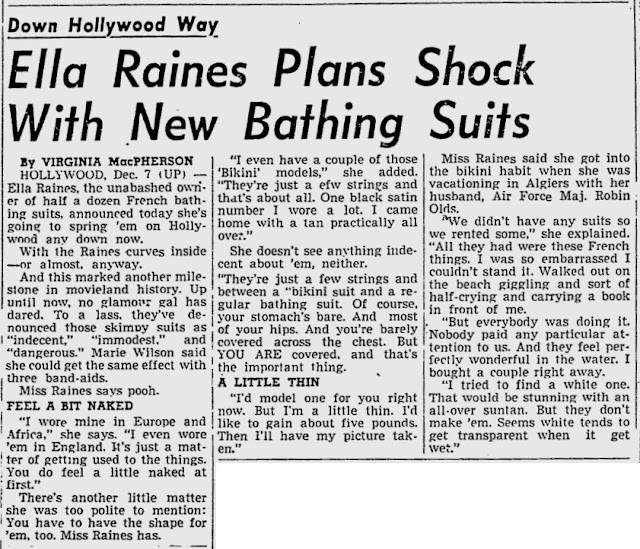 At the time, in America, bikinis were uncommon, but Ella Raines had experience with them since she had traveled abroad extensively. Apparently, she was thinking about helping to make this type of swimwear more acceptable Stateside.